It is no secret that the world’s energy supplies are depleting at a rapid rate. Conventional ways of generating electricity i.e. through fossil fuel-based products are drying up incredibly fast. This of course has caused the price of power to shoot up considerably. It should come as no surprise that more and more people are looking into different ways of generating power. Ipswich Solar Power is probably one of the best routes you can take right now. You are using a renewable source of energy. This means that you are doing your part towards helping save the environment. Remember; the vast majority of global warming problems have been caused by electricity generation (i.e. through fossil fuels), and if everybody does their part there is a chance that we can ‘save’ this planet. 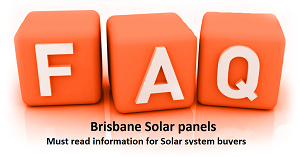 Those who have Ipswich Solar Power installed may actually find that they save money in the long run. This is simply because you are generating your own power. You do not need to rely on the power companies as much. This means that the costs of electricity will go down. Sure; the initial cost is going to be slightly higher, but after a couple of years you are going to be making drastic savings. You are also able to take advantage of a number of schemes in Australia at the moment which could help you save a significant amount of cash. The installation of solar power can actually lead to a rise in your house price. People are willing to pay a premium for ‘green’ homes nowadays. There are plenty of people out there who have had Ipswich Solar Power installed just before they sold their homes, and they were able to make a significant amount of profit on it. What to do Next to Take Advantage of Ipswich Solar Power? You should get in touch with a company like ours. In fact; you should get in touch with us! We will work with you to determine whether your home is in a prime location for solar panel generation. In most cases there is, and if it is not then there are ways to get around that fact. In short; the vast majority of people will be able to take advantage of Ipswich Solar Power. When we have worked out your solar power needs (this will be based upon your average electricity consumption), we will be able to come to your property and get those solar panels installed. Absolutely everything will be connected up to your main electricity supply. This means you will have the solar power feeding into it almost immediately. After that it is a case of just sitting back and relaxing. Solar Power requires very little in the way of maintenance. Once it is there you can be sure that it is going to do a brilliant job for many years to come.